Learn and understand the theory behind the art of semi-permanent makeup artistry to the highest precision, on this 3 day course. 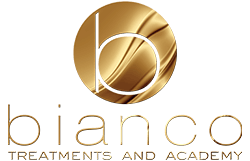 You will be taught by award-winning professionals during the Level 4 Semi-Permanent Makeup Training at Bianco Academy. To start the Level 4 Semi-permanent Makeup training, you must be up to a Level 3 standard. Bianco Academy run a 1 day Level 3 Anatomy and Physiology training course which you can book prior to this course if needed. Please take a look at the Level 3 training page for a list of available course dates. Our level 4 Semi-permanent Makeup training beginners course is run by our award-winning artist and qualified trainer Ewelina Wysocka. The course will include machine required for the course and will enable you to continue creating beautiful semi-permanent makeup and complete the case studies required for each area in order for the assessments and finally qualifications to pursue your career in Semi Permanent Makeup. Please note case studies will need to be completed in your own time within 3 months of the training date. The course will be a 3 day course and will cover 1 day of theory, followed by 2 days of hands-on training ranging from the basics, hygiene, machine use, consultations, patch testing, design, procedures, colour correction, right through to how to capture the best images of the ‘before and after’. The course is £4300 and to secure the course we would ask for a non-refundable deposit of £600. The course will be a 4 day course and will cover 1 day of theory, followed by 3 days of hands-on training ranging from the basics, hygiene, machine use, consultations, patch testing, design, procedures, colour correction, right through to how to capture the best images of the ‘before and after’. The course is £5300 and to secure the course we would ask for a non-refundable deposit of £600. The course will be a 5 day course held at our premises in Fortuna House, Milton Keynes MK9 2PQ and will cover 1 day of theory, followed by 4 days of hands-on training ranging from the basics, hygiene, machine use, consultations, patch testing, design, procedures, colour correction, right through to how to capture the best images of the ‘before and after’. The course is £6300 and to secure the course we would ask for a non-refundable deposit of £600. The initial step towards gaining your level 4 certification in semi-permanent makeup is to understand the history behind pigmentation, how it is developed and how pigments have evolved over the years. You will then be guided through the anatomy of the skin and cellular structures, along with how pigmentation will react and affect the skin. During your career as a semi-permanent makeup artist, you will be faced with many different clients with different requirements; it is vital always to have the ability to provide the client with their desired end result. During training, you will be taught the colour theory aspect including the different types of pigments you may have to work with. This is important when matching a shade to the exact tone of the client. 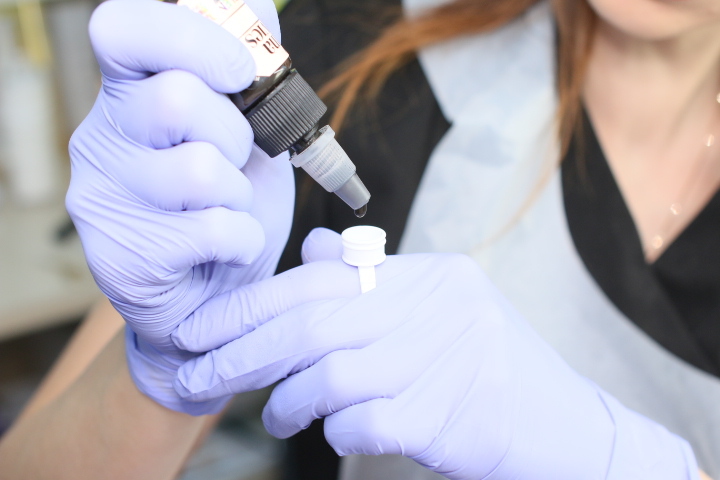 Hygiene and safety is a critical factor involved in semi-permanent makeup, failure to comply with regulations will result in fines and risk of closure. You will be guided through the most effective, proven sterilisation methods for needles and equipment along with infection control procedures. The trainer will have extensive experience in the industry, so will also teach you how to enforce waste segregations in your facility. The disposal of equipment, especially needles, must be done professionally and safely. An in-depth assessment of the client must be performed before attempting to start any form of semi-permanent treatment, which is why it is vital to always embark in an initial consultation. During training, you will understand all contraindications that must be considered pre-treatment. You will be provided with a list of questions you are required to ask your client during the consultation as well as all supporting documentation and forms that they will need to complete. Your trainer will also cover the importance of pain management and how different individuals react to pain. You must be able to take a professional, medical approach to pain control discipline and be aware of several different ways to calm stressed clients. A full application tutorial will be performed including how to prepare the treatment room, practitioner and client for the application of pigments. We have opted to take on small classes of just two students per course with models provided. Classes are focused where students feel comfortable enough to interact with each other along with their trainer and have the chance to ask any questions along the way. The course can be covered at the students own pace to secure an in-depth understanding of each topic. For an additional cost, Bianco Academy can provide the case studies for you, enabling you to finish your training and gain your certificate. We will support you in your 5 case studies which are essential to gain a successful qualification. Models can be provided through Bianco or yourself and are charged at a reduced rate by Bianco. Bianco will supply all the necessary products to carry out the treatments for models. You are covered under our insurance for case studies carried out at our premises under our supervision. Am I Able To Provide Treatments To Clients Straight After Training? Can I Buy Equipment At The Training Academy? Do I Need Qualifications To Take Academy Courses? Do I Need To Bring Anything To The Course? Do You Offer Finance Options? How Do I Prepare For Training? How Far Is The Training Academy From London? How Far Is The Training Academy From The Train Station? Will I Be Given Support After Training? Will I Be Provided With Accommodation? Will I Need To Complete Case Studies To Qualify? Will I Need To Pay A Deposit For My Course? Bianco Academy will continue to provide every student with ongoing support after their course if required. We are fully committed to helping you open or expand your own clinic and can visit you on completion of your training to deliver refresher courses should you need it. Bianco are also able to fully supply your business with your machinery in order to provide you with the most up-to-date industry standard products at all times. Let us help you on your way, with our 0% finance option on all courses & equipment for 12 months. Bianco will provide accommodation for 2 nights free of charge, when a 2 or 3 day course is booked. A memory stick will be given to each student, which will contain all course information for you to take away. Hassle Free and No Obligation Consultations, Free Of Charge.